Having back and leg pain can bring life to a standstill. But you don’t have to live with it! 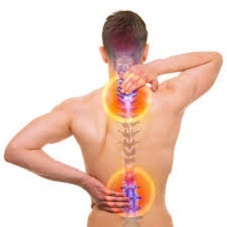 Having back and leg pain can bring life to a standstill. You’ve got too many dreams left undone to let back pain slow you down. Too many special moments waiting to be experienced. Over the past 39 years since we’ve opened the doors, I’ve seen thousands of people with back pain leave the office pain free. Because I’ve seen it with my own eyes, I strongly believe…Back pain is NOT “just a part of life” and something you have to live with. This means in just a matter of weeks you could be back on the golf course, enjoying your love life, doing all the things you want to do.